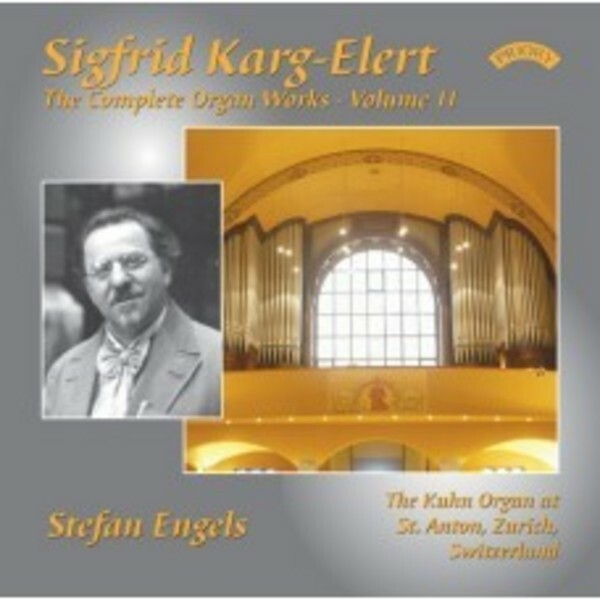 10 fantastic volumes of some of the most creative and complex organ music ever written have been released by Priory in this ground breaking series of Karg-Elert�s complete organ works - much of it unrecorded and some of it unpublished. To enthusiastic critical acclaim we are pleased to announce the release of this 11th volume which completes Karg-Elert�s mammoth cycle of 66 chorale preludes. As ever, Stefan Engels has chosen a fantastic organ to conclude the Opus 65 cycle - The Kuhn Organ of St Anton, Zurich, Switzerland.